This male Greek warrior mask has a red and gold helmet and big gold eyes. 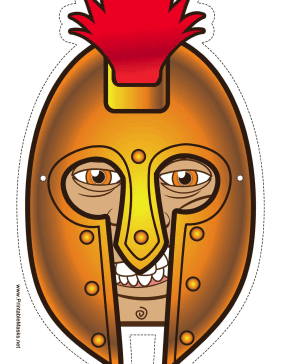 This heroic figure mask is perfect for reenacting the great Greek epics. This mask is free to download and print.